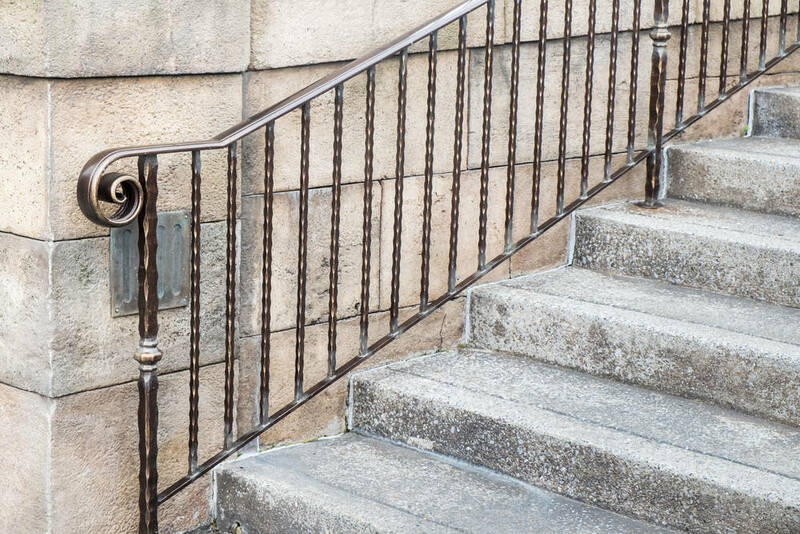 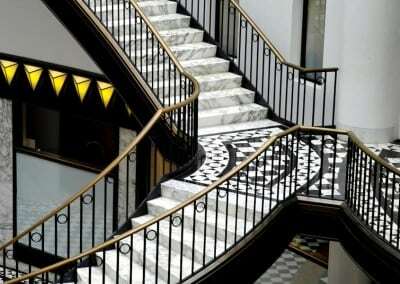 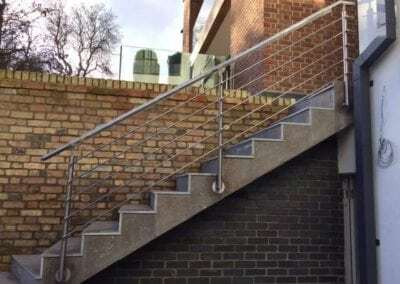 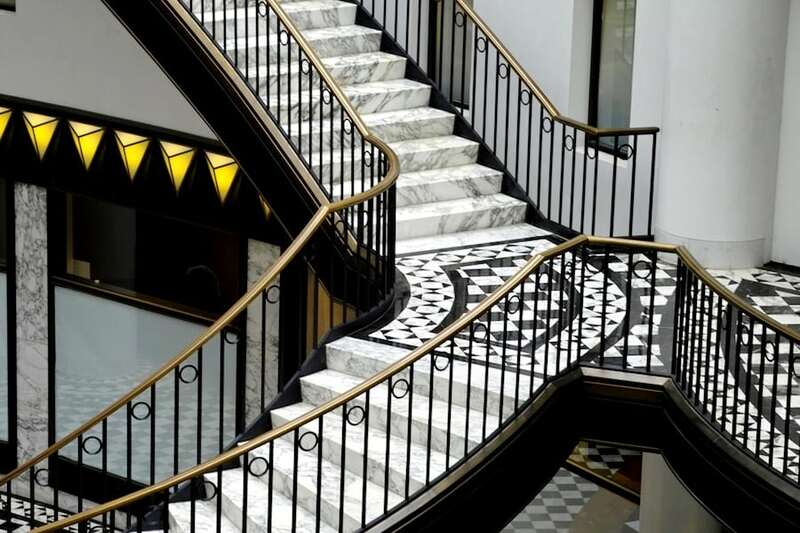 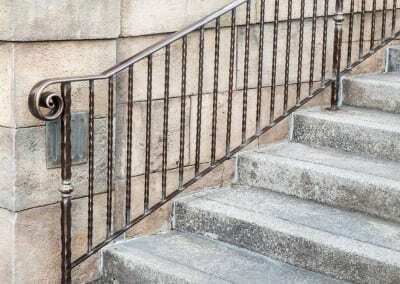 We’re skilled in the manufacture and repair of all types of handrails, bannisters and balustrades in wrought iron, steel, aluminium and brass. 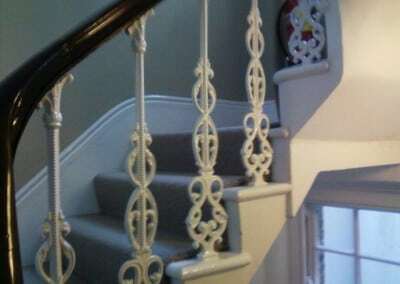 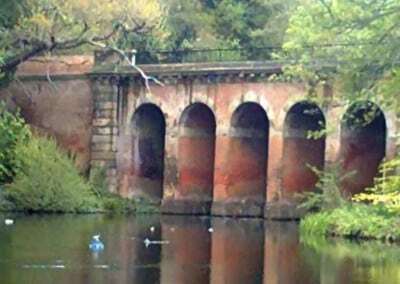 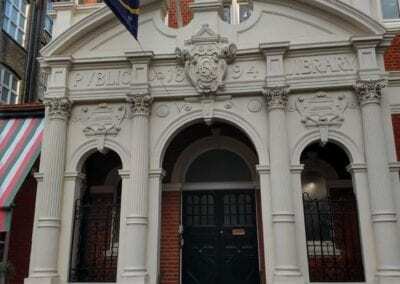 We have repaired, restored and replaced them for the Royal Household Property Section, the Parliamentary Estates Directorate, the National Trust and the London Palladium so that they are indistinguishable from the originals. 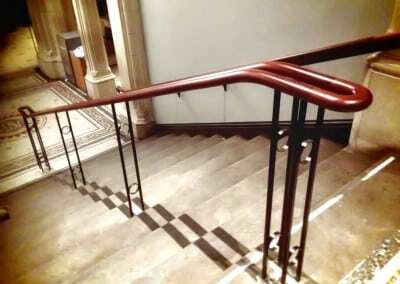 We have also designed a handrail in the National Portrait gallery to match an existing handrail on another staircase. 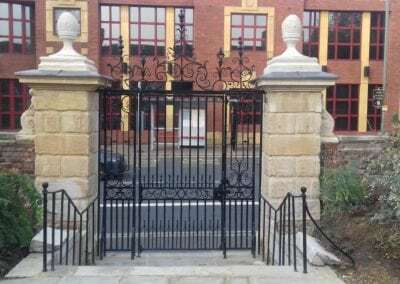 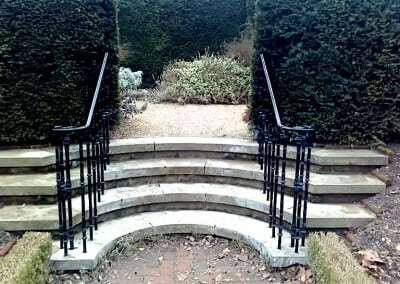 Click here for more information on Wrought Iron. 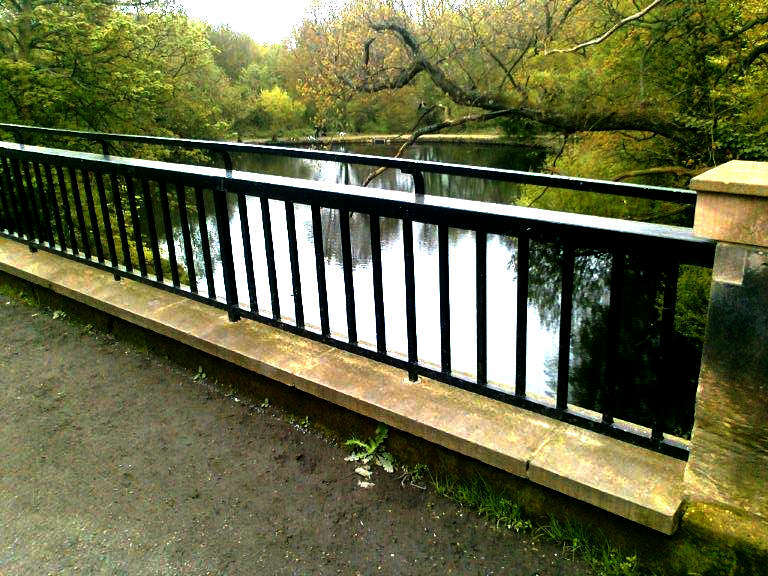 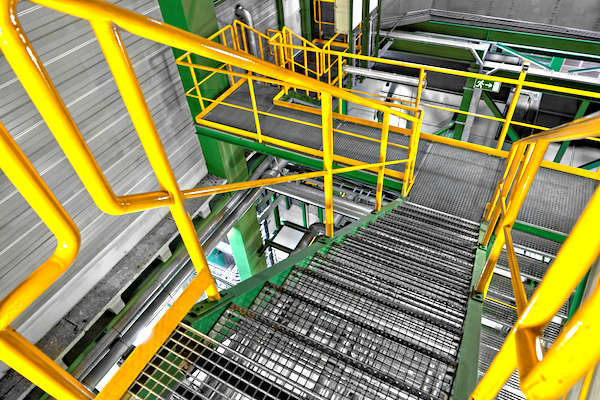 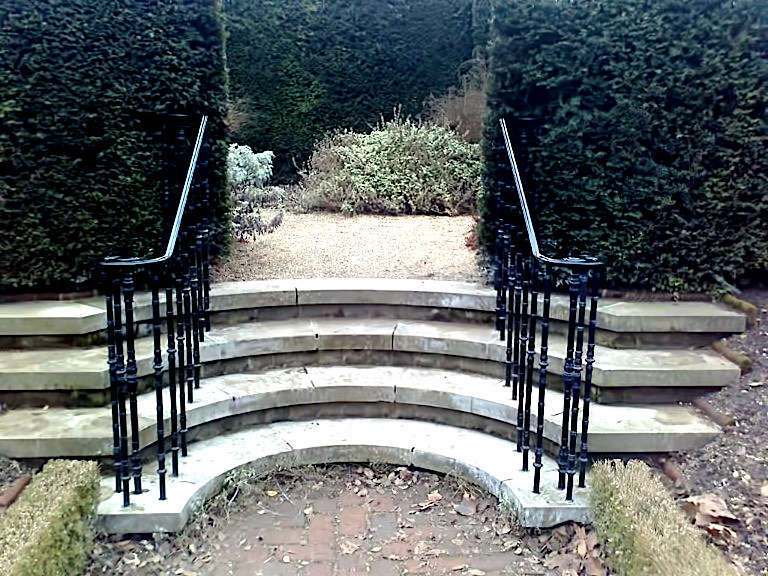 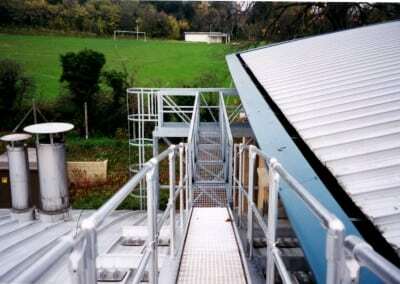 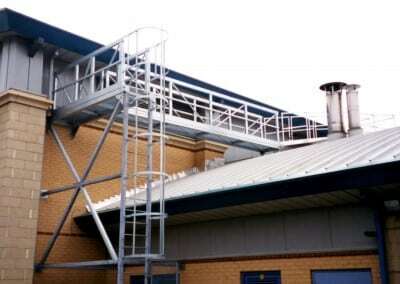 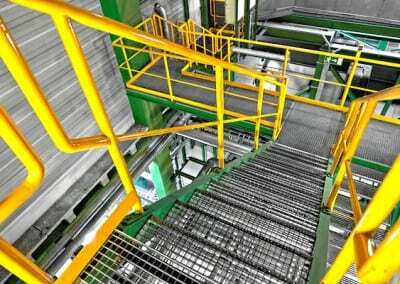 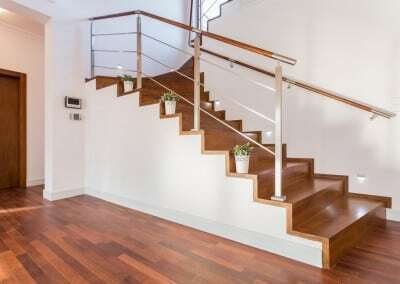 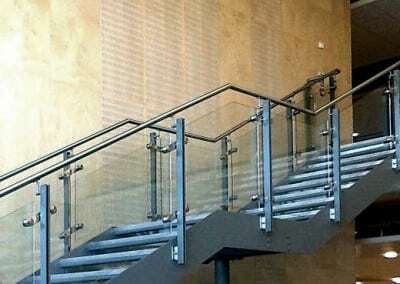 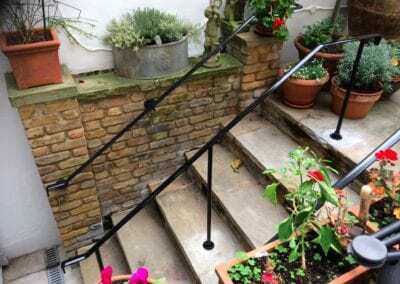 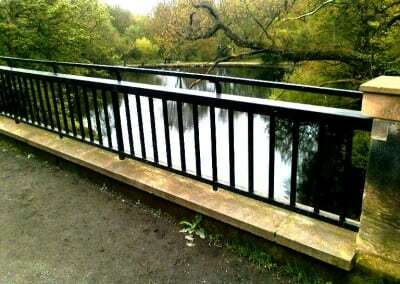 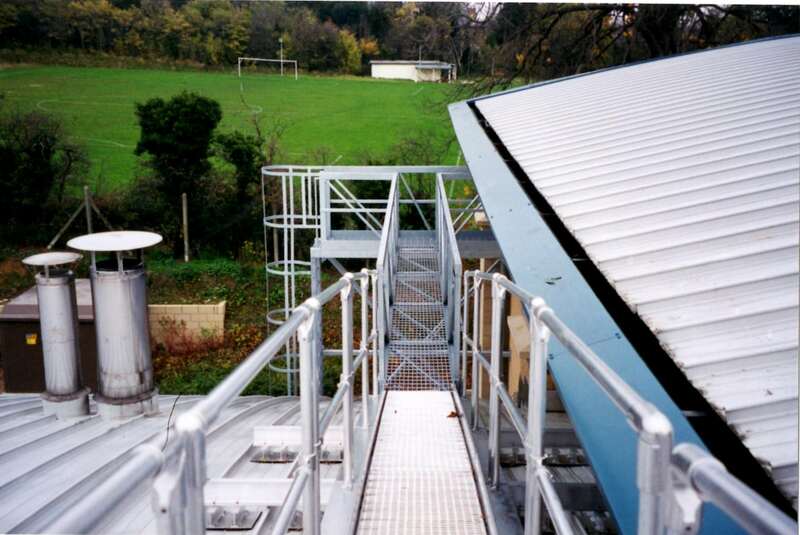 We’re also known for the manufacture, installation and repair of modern handrails in steel, aluminium and brass. 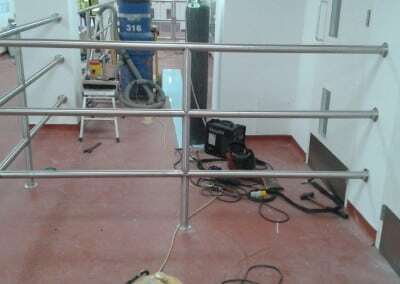 We also provide handrails maintenance plans which public sector organisations find particularly valuable for health and safety reasons. 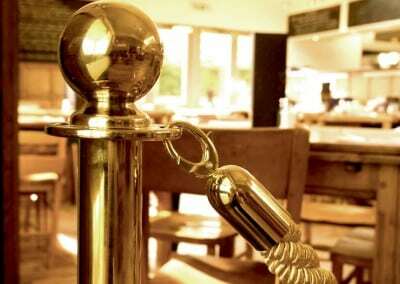 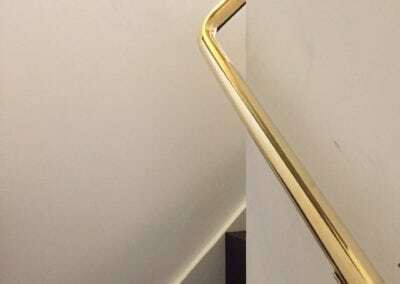 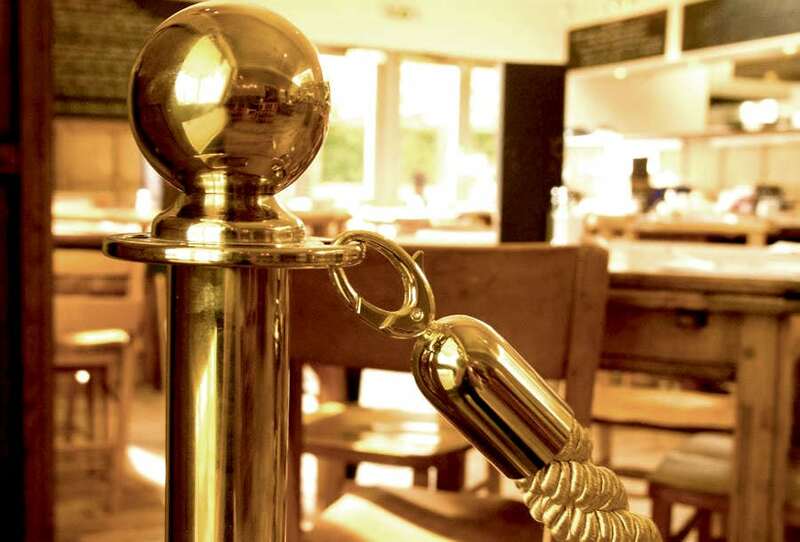 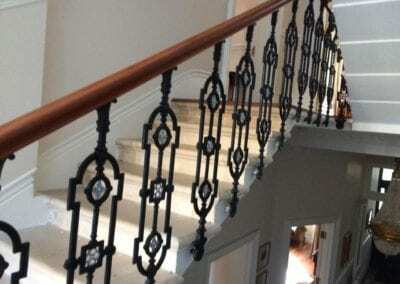 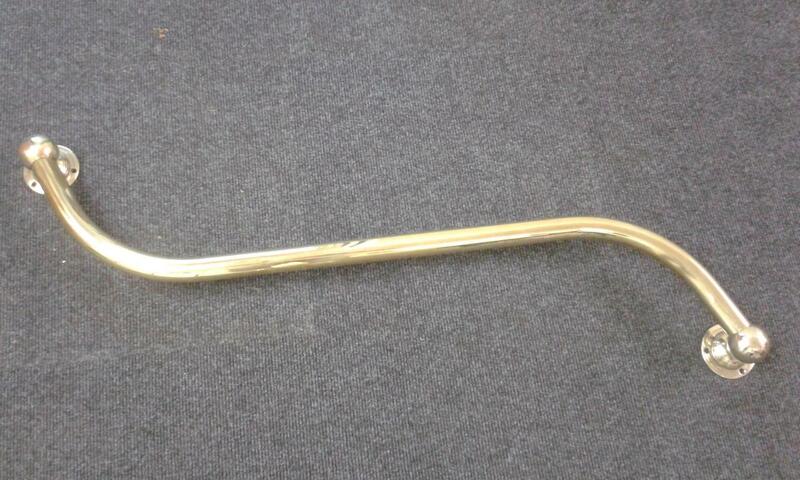 Our skilled craftsmen can fabricate, install and repair brass handrails to a very high standard. 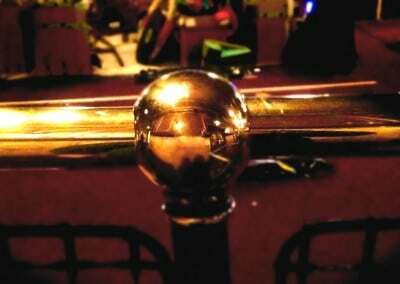 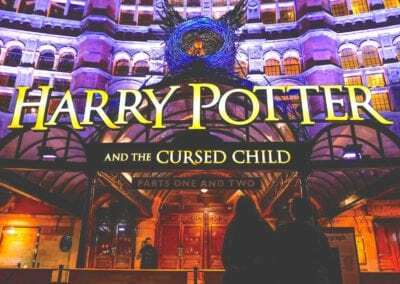 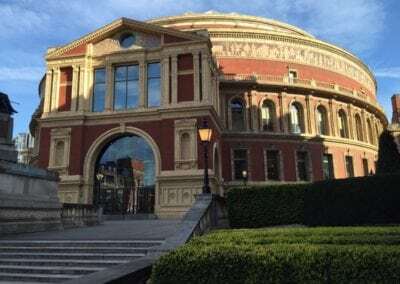 One of our most prestigious brass handrail projects has been repairing, refurbishing and replacing brass handrails at the London Palladium. 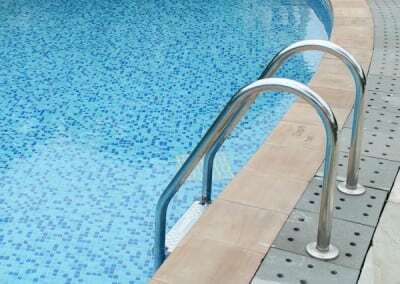 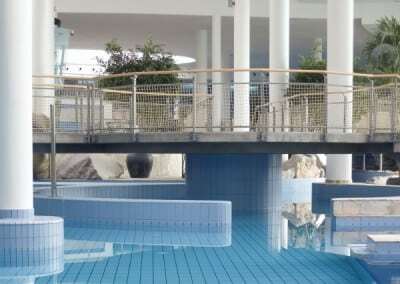 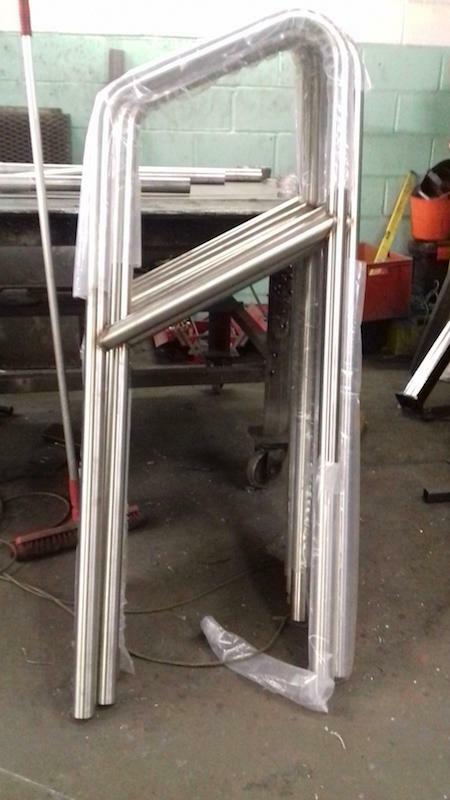 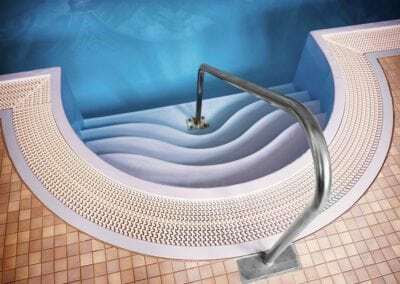 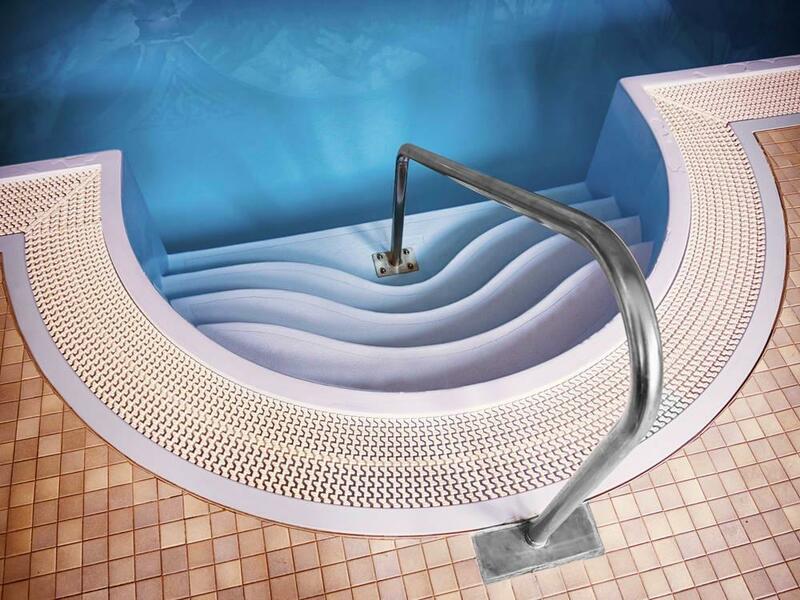 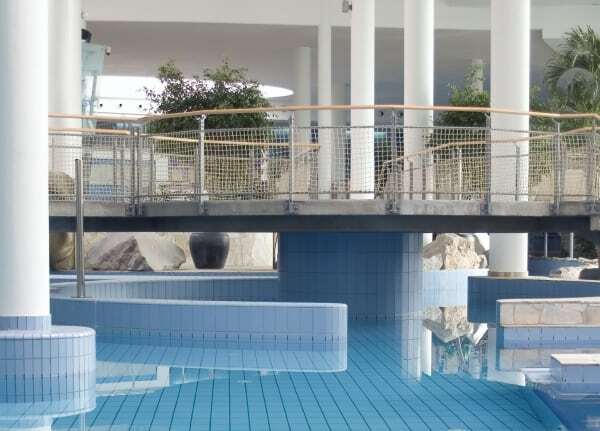 Manufacturing and installing swimming pool handrails is relatively simple but to repair them our guys may have to get their cosies on and, for outdoor pools they’re reluctant to do this in cold weather. 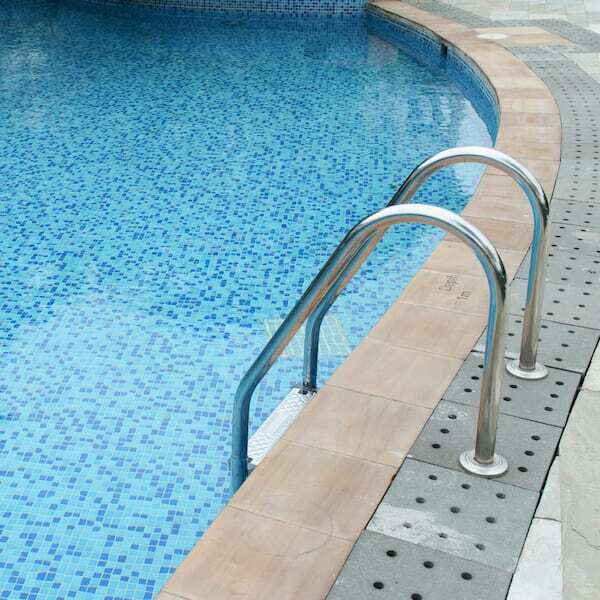 So far, they’ve held out against swimming trunks with our logo too. 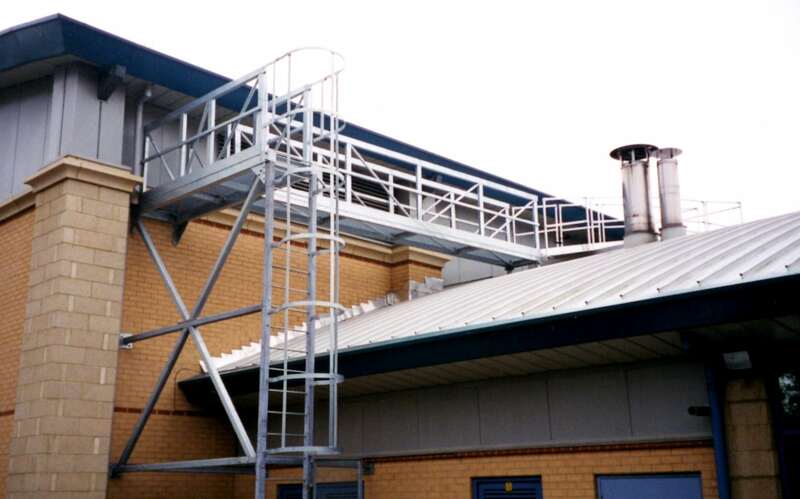 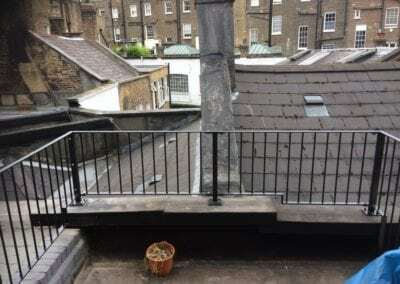 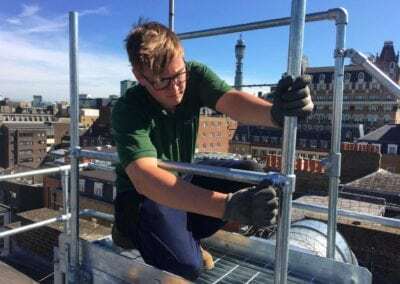 Installing handrails on roofs is only more tricky because of the obvious health and safety concerns, which may mean our fitters have to wear harnesses and lanyards. 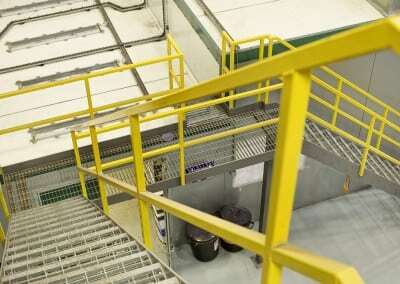 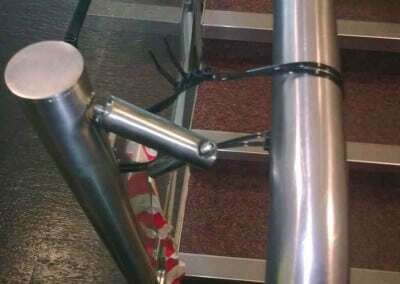 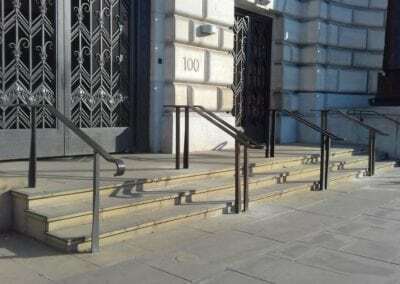 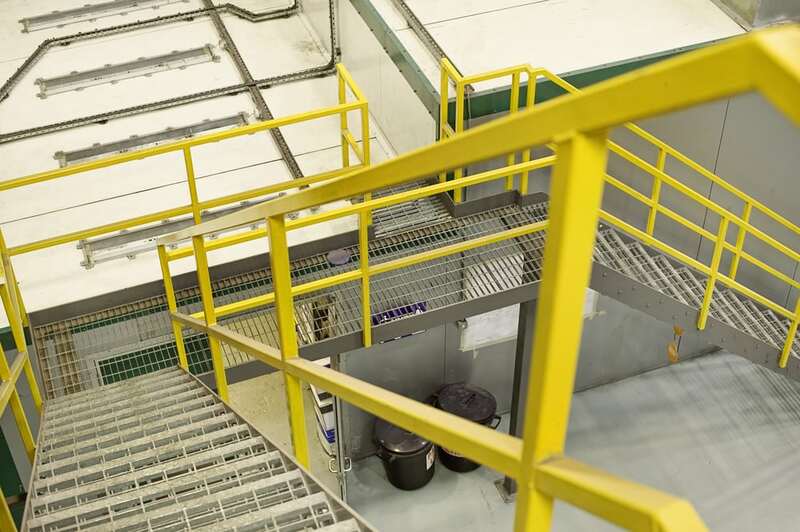 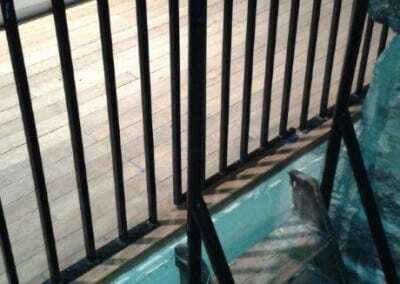 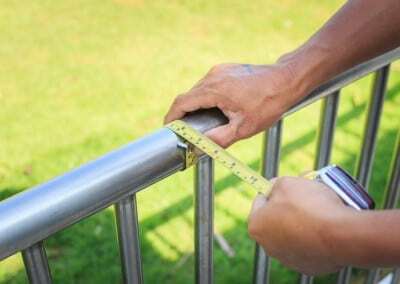 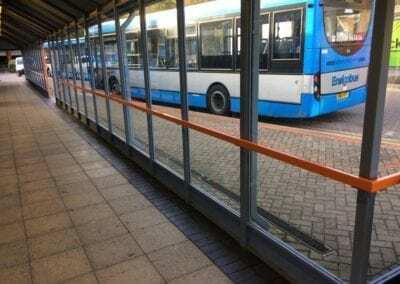 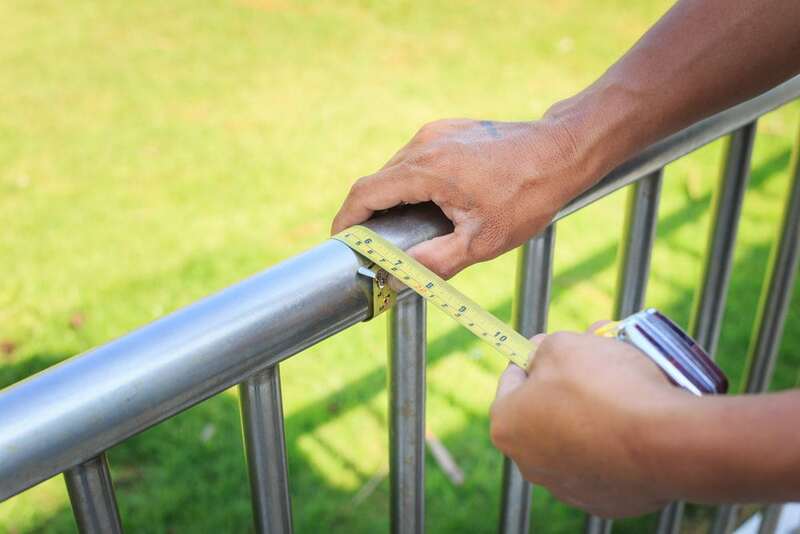 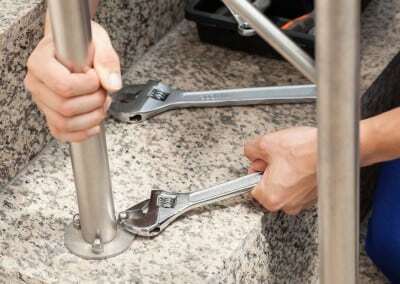 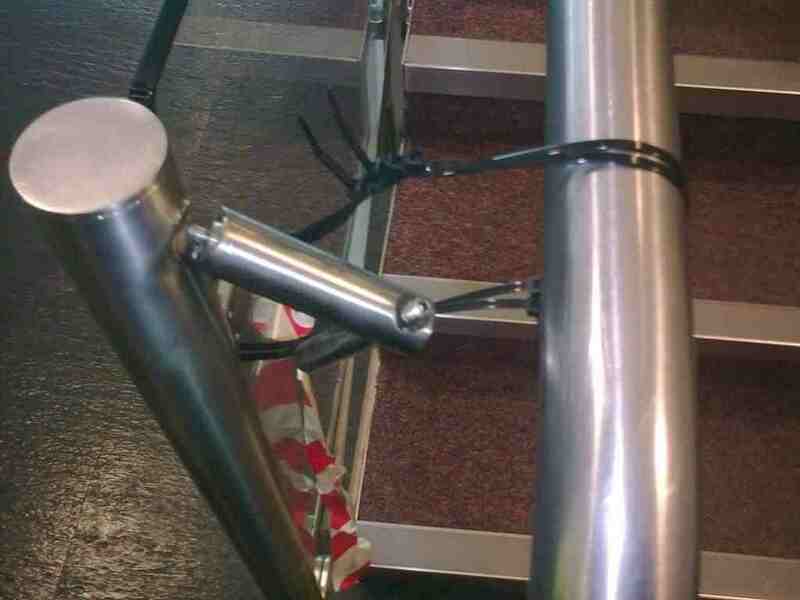 By regularly checking all components, we can ensure that your handrails are safe and secure. 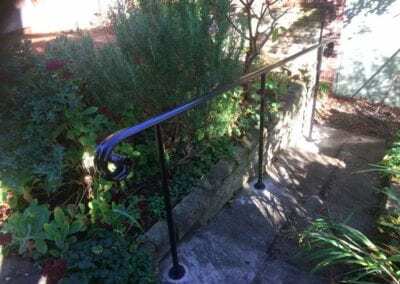 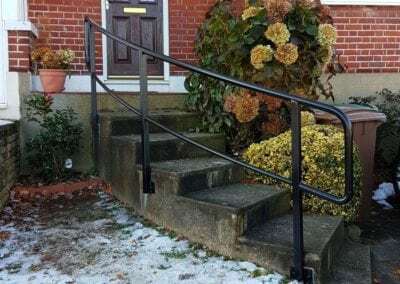 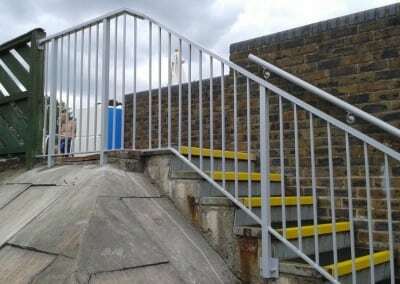 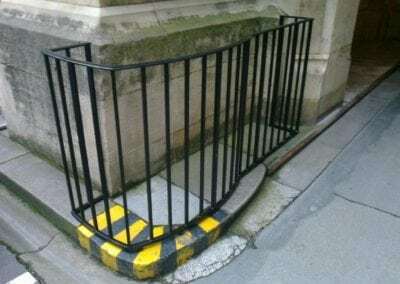 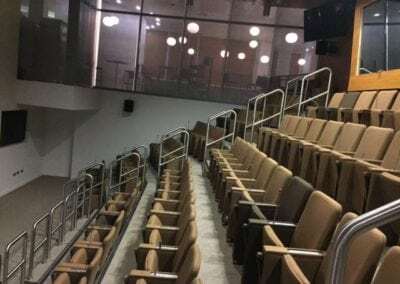 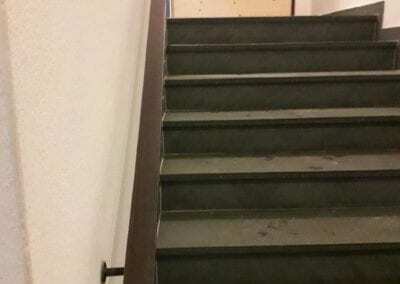 We’ll carry out minor repairs and provide a report on the condition of your handrails highlighting any major repairs so they can be resolved before they become a serious concern. 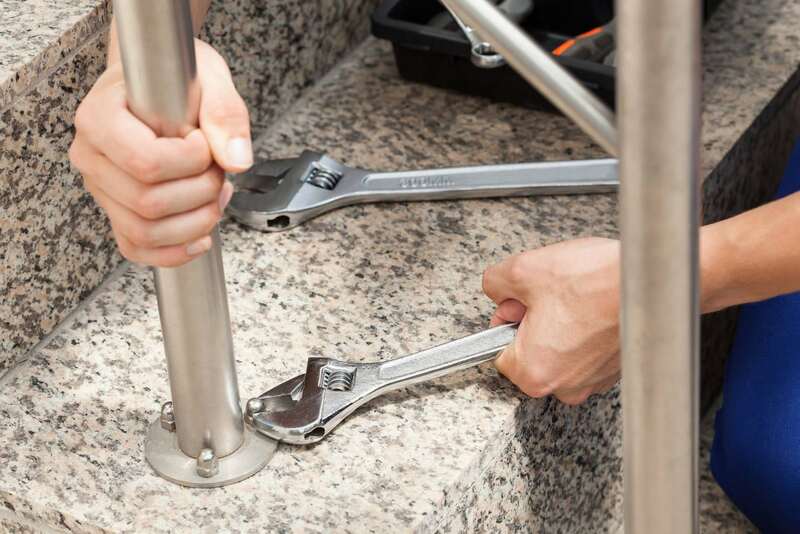 This preventative measure saves money long-term and gives peace of mind, as well as providing proof you’ve taken the right action to stop problems occuring. 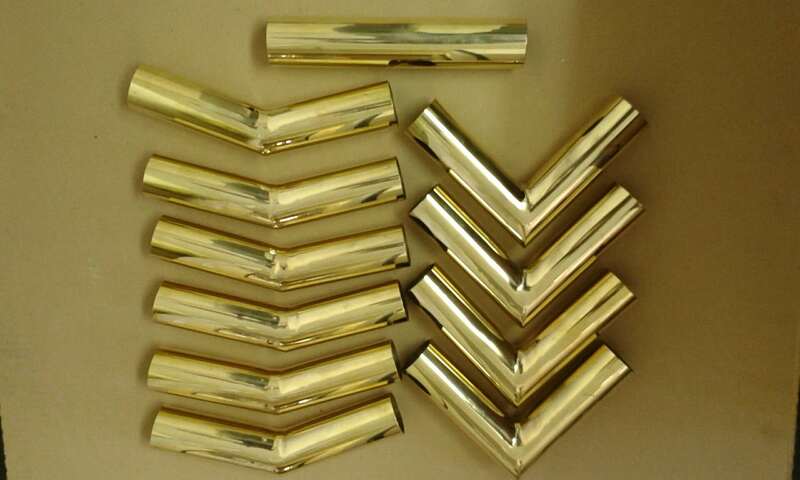 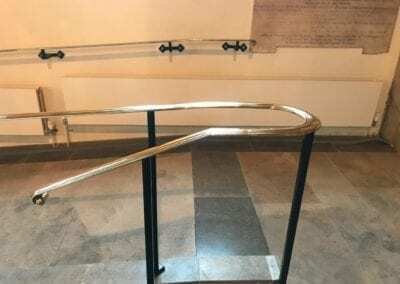 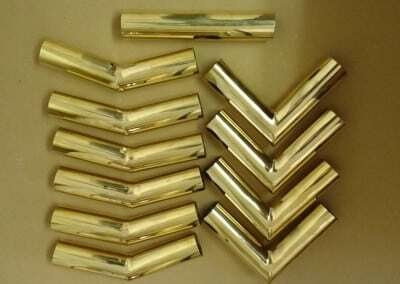 Purpose-made made brass handrail components fabricated for an interior designer: one straight connector and others at 90°, 147° and 151°. 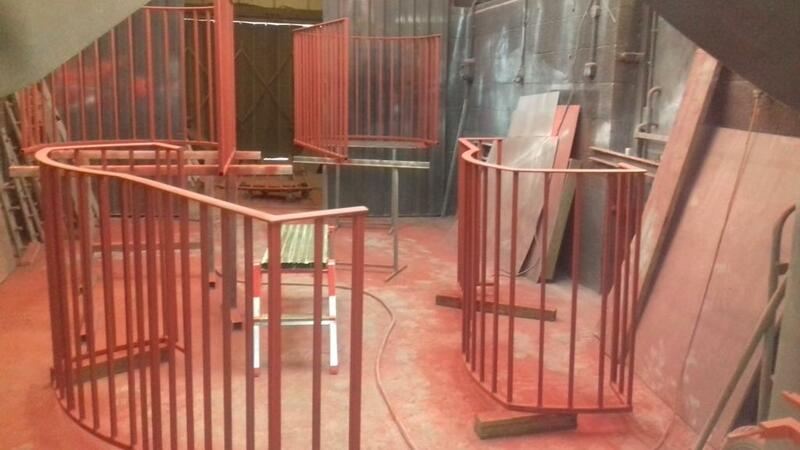 Newly primed handrails in our workshop. 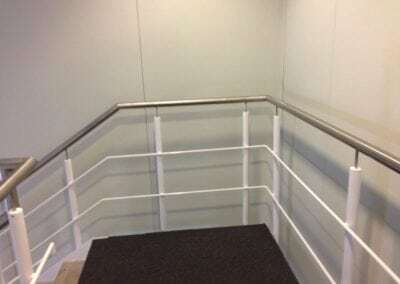 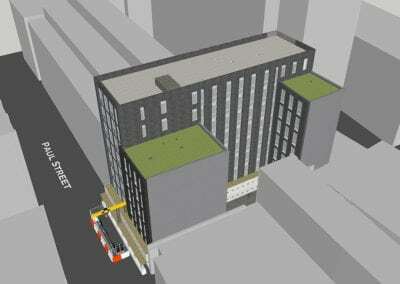 Metal Handrails, Tune Hotel, Shoreditch, London EC2.